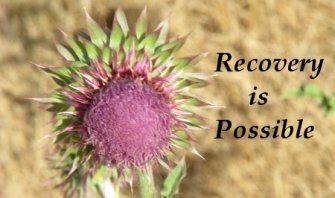 Let’s focus on our spirit as a key part of our existence and addiction recovery. The body is merely the packaging. The mind, however, is the looking glass through which we see the world and make sense of our existence. It is filled with facts, but it is also filled with interpretations, and rightly or wrongly our view of the world is largely determined by those interpretations. In one sense, both those statements are correct. If there is no God, and if we were not created in His image, then there is no truth other than what we ourselves determine, for ourselves. We may agree on some things, but there is no absolute or objective truth. However, if God did create man in His own image, it follows that God is the objective truth, and it would follow that His creation bears His identity, just as an art enthusiast can immediately spot a Van Gough. Stay with me. If is possible, no matter how remote you may believe that to be, that we were created in the image of God, then the power that went into our creation could also be used to guide us through recovery (Step Two). That power could be tapped to help us make proper decisions, to take away cravings, to give us strength to persevere through treatment. But more importantly, that power could restore our identity. How am I supposed to figure out the meaning for my life outside of God? The agnostic will question this because he does not have information supporting this conclusion. The atheist will deny this conclusion regardless of the evidence. It is a matter of faith, to some degree, but we believe it is more a matter of experience, or more importantly, a matter of allowing the experience. It’s like the professor who did not believe in evolution, but he made the choice to support evolutionary theory, because he refused to believe in God. The notion of turning your will and life over to the care of God, as you understand God (Step Three), is not possible as long as a person refuses to allow for the possibility of God to even exist. A couple of things need to be fleshed out first before we continue. Getting back to body, mind and spirit, my “Mind” collects information and my “Spirit” decides how I use it. For example, I can be a crooked or an honest locksmith. Many words are used to point to our Spirit personality -- character, hope, dreams, soul, values, morals, attitude, individuality, energy, courage, confidence, self-esteem, mood, disposition, etc. A term that is widely used is “spirituality.” If you go into a book store and look at the shelves, the topic of spirituality will likely contain far more volumes than religion. Spirituality strives to answer questions. Who am I? Who are you? Who are we? Is there something more? In the spirituality section there is always metaphysics, the branch of philosophy dealing with the nature of reality, including the relationship between mind and matter, the world around us. It focuses on unanswerable questions, questions that science cannot observe, analyze or answer through experimentation. How do I experience the Spirit? We are, by nature, relational beings. Regardless of your background, your ethnicity or any other factors that contribute to who and what you are, you are relational. Some of us are more relational than others, but everyone experiences some sense of closeness with another person. It is our sense of belonging. Why are there clubs? Why are there street gangs? We need community, our group of people, our friends. The spirit also gives us a reason for getting up in the morning. Call it a sense of vocation, or a purpose, or an idea of what our future will bring, but the spirit drives us. He has a fighting spirit, or she has a gentle spirit both point to a state of being. It’s something beyond what we can experience with our senses. Call it the sixth sense, it is awareness beyond ourselves. So many times a hospital chaplain will go into the Emergency Department where a patient is struggling for life. The family has gathered to be with that person they all love. There is a sacred element to that moment that cannot be described. Sometimes there are long moments when no one speaks. It is a holy moment. We experience the spirit through a sense of trust and faith. This can be described as openness to other people, and to God, as we understand Him. It is the sense that I can be helped, I can change. Religion too often does not allow us to doubt, but relationship with the creator allows us to ask our questions, and gives us permission to doubt. We are allowed to seek truth. Along with that comes the openness to learn and take responsibility for our actions. That process of learning and discovery, that openness to allow a relationship with God, can lead to a healing experience of self-forgiveness, forgiveness of others and too a sense of guilt, shame, remorse, which leads to repentance, our decision to change. Our spirit gives us a sense of what we ought to do and what we ought not to do. There is an innate, almost universal sense of right and wrong, which I suppose contributes to the commonality of many of the major world religions. There is the Law of Moses, on which most of Western law is based. There is Islamic Law. Because religion, as we define it, requires me to adjust, my wants and needs are determined by me. Relationship, on the other hand, focuses on what God has done, and so those wants and needs become His to determine for us.